There’s new malware being created and set loose every single day, and it’s already a known fact that your antivirus software doesn’t protect you 100% from it. Sometimes it can take up to a few days until the virus analysts get a hold of a particular sample to be added to the latest virus definition. During this time, it’s possible that all of your sensitive data and passwords are stolen via a keylogger which is a standard feature that is found in most Remote Access Trojans. When the offline/online keylogger mode is activated, anything that you type on your keyboard will be recorded and logged to a file or even instantly transferred to the controller. This is where keystroke encryption software comes in the picture, and it works in a really deep level of Windows to prevent keyloggers from logging the real keystrokes or blocking them. We’ve gathered five keystroke encryption tools that you can currently find to protect your system. Zemana AntiLogger is a powerful and efficient app with a user-friendly interface that keeps track of who is doing what on your system. The software can monitor your PC against hackers, and it prevents any kind of attempts to record or steal your private data, blocking any kind of suspicious activities. It makes it possible that your credit card numbers, login credentials, and social security numbers are securely transmitted while blocking attackers. It allows you to camouflage your daily activities online including shopping. Texting, calling, online backing and more. It provides reliable ransomware protection. It detects and cleans the browser’s add-ons, unwanted apps or toolbars, and adware infections. This is a lightweight and efficient online malware scanner. Each unknown file is analyzed carefully in the cloud via Pandora technology before it has time to execute on your system. Zemana provides real-time protection and you also get 24/7 technical support if you are experiencing any problems, check out more details on Zemana and get it now from free. SpyShelter is an excellent anti-keylogger software, and it’s fair to say that it’s one of the best free keystroke encryption security tools out there. It is able to protect you from keyloggers. The software continually monitors the computer for malicious software. It is able to detect and remove any keylogger hacking tool that you might have installed on your system. It can encrypt all of your keystrokes to protect your vital data. Malware will not have access to your passwords. SpyShelter provides financial malware protection. The program also offers powerful HIPS System Protection. The software is fast and lightweight, and it’s able to provide real-time keystroke encryption. SpyShelter works without a signature database. It provides extremely solid protection against known and unknown zero-day spy. It protects your system against monitoring software such as keyloggers, screen loggers, webcam loggers, and even advanced financial malware. It protects your webcam and microphone as well against hijacking. The program can stop all suspicious screenshot capturing activities immediately. It allows you to define rules for each one of your apps because you are in charge of your computer. The AntiNetworkSpy proactive module prevents dangerous Trojans from stealing your private data while conducting essential Internet transactions. You can get SpyShelter from the official website. GuardedID is able to eliminate your vulnerability to data theft caused by keylogging attacks which is one of the leading causes of cyber-crime. 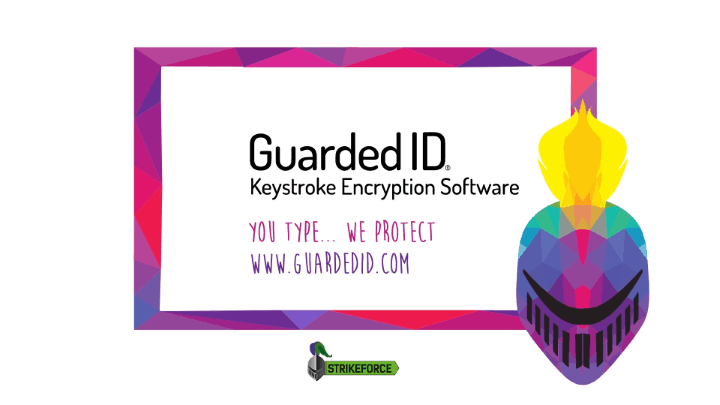 Unlike anti-malware and antivirus software, GuardedID protects your data from both known and unknown keylogger threats. It is easy to install, and it will not slow down your Windows computer. 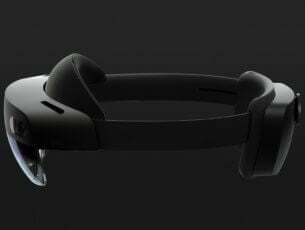 It is patented, built and supported in the US. The program protects against kernel and desktop based keyloggers. The patented anti-keylogging technology secures your personal data and financial information as well by proactively encrypting every one of your keystrokes. The program also provides advanced anti-clickjacking and anti-screen capture technology. It offers multiple layers of protection against cyber-attacks. It outsmarts cybercriminals because they’ll only be able to see a meaningless sequence of numbers. It stops malicious keylogging programs by encrypting keystroke data and then routing it straight to the Internet browser or desktop via a secure pathway that is invisible to keyloggers. The software protects this pathway with military-grade 256-bit encryption code. You can get it from the official Strike Force site. KeyScrambler is another excellent security software that offers adequate protection with little user effort. After you type on the keyboard, the keystrokes enter Windows, and the encryption module starts working in real time. The encrypted keystrokes go through your OS, and the snooping keylogger will see only junk. Your keystrokes will return to normal at the destination. 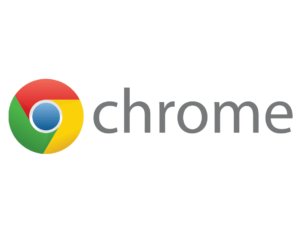 The program encrypts typed info in more than 60 browsers. It can encrypt typed info in more than 170 standalone apps. It is able to encrypt typed info in more than 140 business programs and other advanced security features. The program automatically updates to the latest version. The online support helps you locate relevant info quickly, and the FAQ will help you get answers and troubleshooting tips about the program. You have the opportunity to choose the KeyScrambler edition that best works for you: the personal edition, professional edition, and premium edition. The latter comes with the most features. 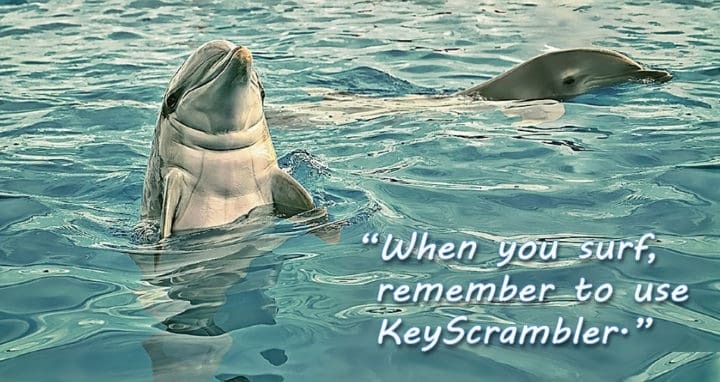 Check them all out and choose your favorite on the official website of KeyScrambler. NextGen AntiKeylogger protects your data from all sorts of keylogging programs both unknown and known and also the ones that are being currently developed. It uses a unique method of protection by intercepting keystrokes at the lowest level possible. It encrypts the keystrokes and sends them via its own protected path straight into the protected app. 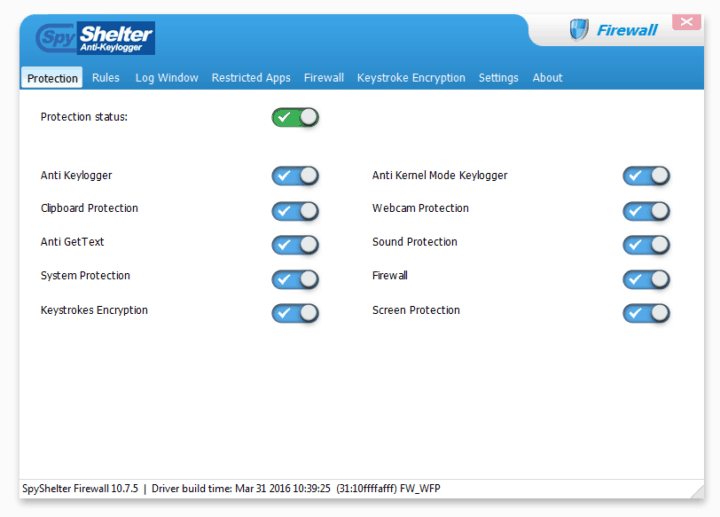 The software is able to defeat all types of software keyloggers. The program has no false positives, unlike the programs that are based on proactive protection. This software works out-of-the-box, and it doesn’t require any additional configuration. Even inexperienced users can work with it really easy. NextGen AntiKeylogger is able to protect web browsers, IM clients, editors, password managers and more. The program helps you to protect your overall privacy. The software only supports 32-bit computing. It comes with a clear and straightforward interface. This is a handy package for users to protect their systems from keyloggers that are not picked up and removed by their virus or malware scanner. The program helps ensure any logging software logs incorrect keystrokes while at the same time Windows will still receive the correct keystrokes. 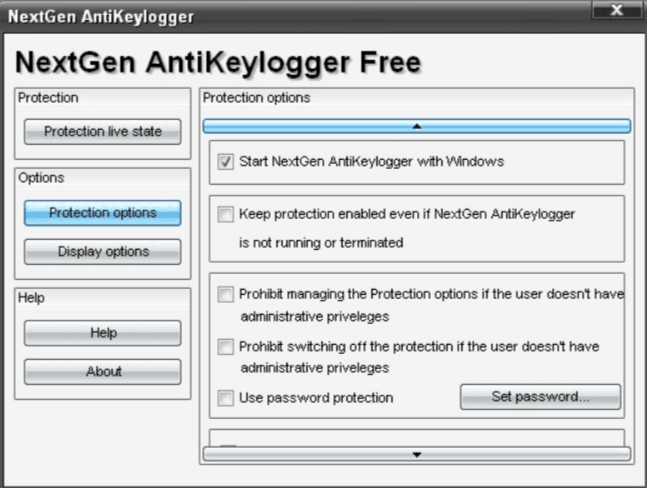 You can download NextGen AntiKeylogger now and give it a shot. 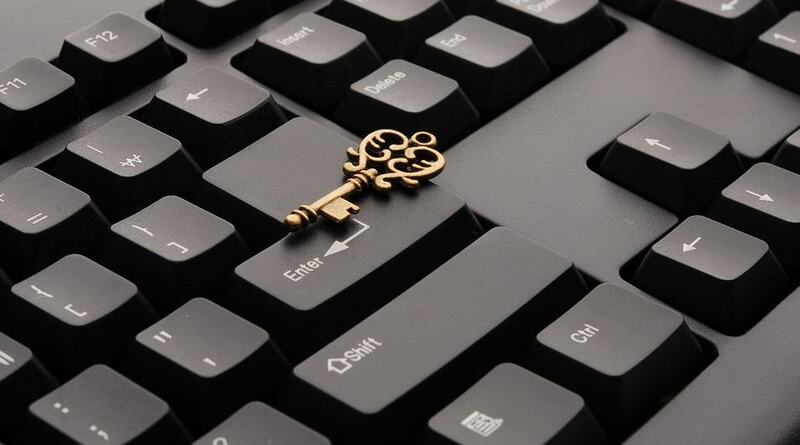 These are the best five keystroke encryption tools for Windows, and they’re all guaranteed to work flawlessly to protect your system from unwanted cyber-attacks. Check out more details about them on their official websites and download the one that seems to fit your security needs the most. Good luck!